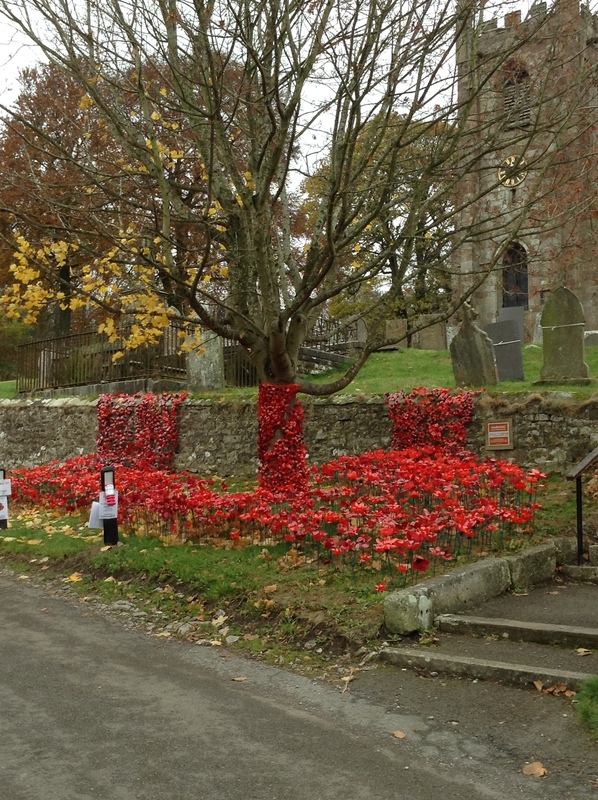 As part of the 100 years commemoration of the end of World War One it was decided by the local community that poppies would be made and displayed at the village war memorial and St Giles Church. 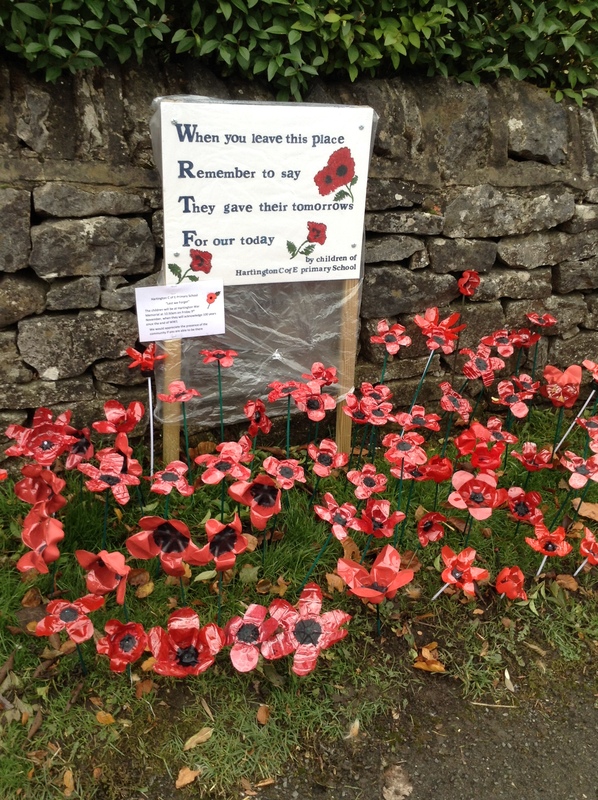 The school was proud and privileged to be asked to take part in this commemorative event. 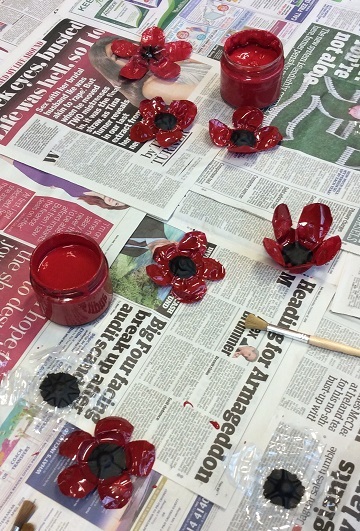 Mrs C. Clayton a member of the community and governor of the school ran a poppy workshop earlier in the school term. 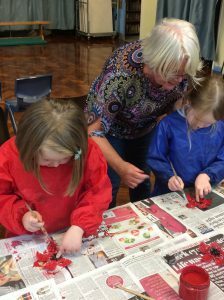 The whole school thoroughly enjoyed making the poppies and even more when they were presented with the opportunity to go and see for themselves how the poppies had been creatively displayed. 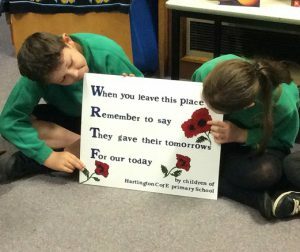 This has been used as a spring board and WOW experience to inspire the children at the start of the history topic. One of the children quoted ‘The poppies look like a waterfall and because they are red it reminds me of the soldiers blood and them dying on the battle fields’. 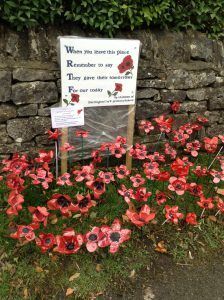 Another child quoted ‘The red poppies make me feel happy and filled with hope that there will be no more World Wars in my lifetime’. 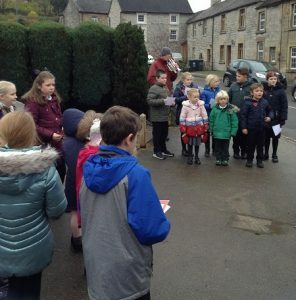 On Friday 9th November the children paid their respects to the fallen soldiers and veterans of World War 1 and 2. The children were instrumental in planning the content with the school’s RE coordinator Mrs Wildgoose. 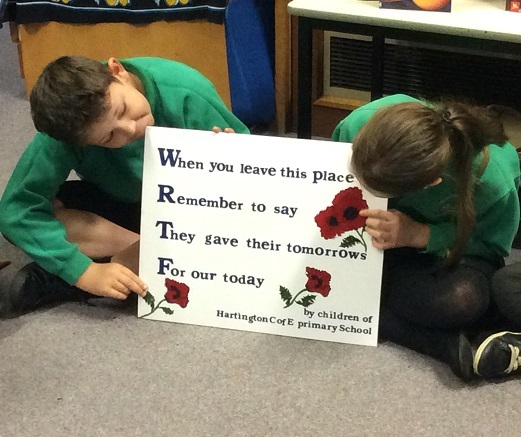 The words spoken by the children evoked memories and emotional responses from the people of the community and school gathered at the War Memorial. The last Post was played by Mr Wildgoose prior to the sounding of the church bells striking 11 o’clock. Following a minutes silence the sound of the Reveille rang out bringing this poignant service to a close with a prayer for Hope and Peace. 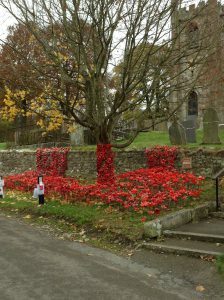 A representative from the school will be laying a wreath on behalf of the staff, children and governors on Remembrance Sunday.